Dingy Butterflies is supporting Northumbria University Masters of Architecture student Tom Hewitt in his participatory research project. Tom is interested in talking to Bensham residents to uncover the personal stories of Bensham, what the area means to you and how you imagine it in the future, through mapping and walking. The project involves exploring stories and memories of the area and plotting walking routes. Tom was at Bensham Grove Community Centre on the 11 June, 10-1pm and will be there again on the 18th June, 10-1pm talking to and mapping people’s memories and experiences of the area. 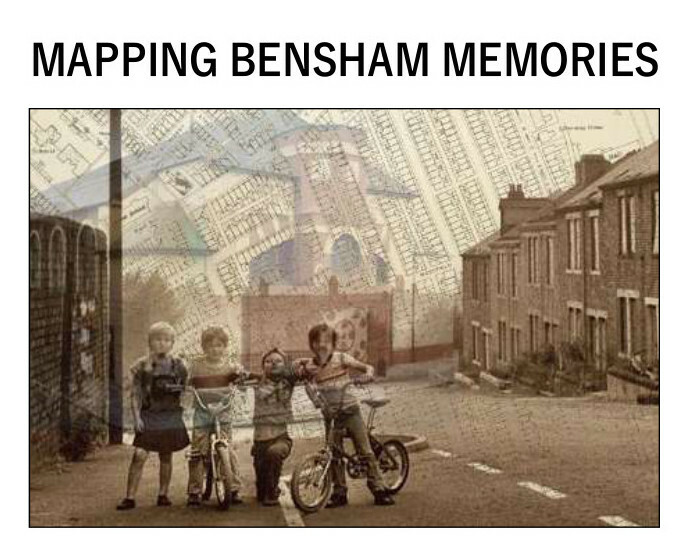 For more information you can email Tom at bensham-memories@hotmail.com, find Bensham Memories on Facebook and Twitter or come down to Bensham Grove on Saturday 18 June between 10am and 1pm and shar your memories and stories.